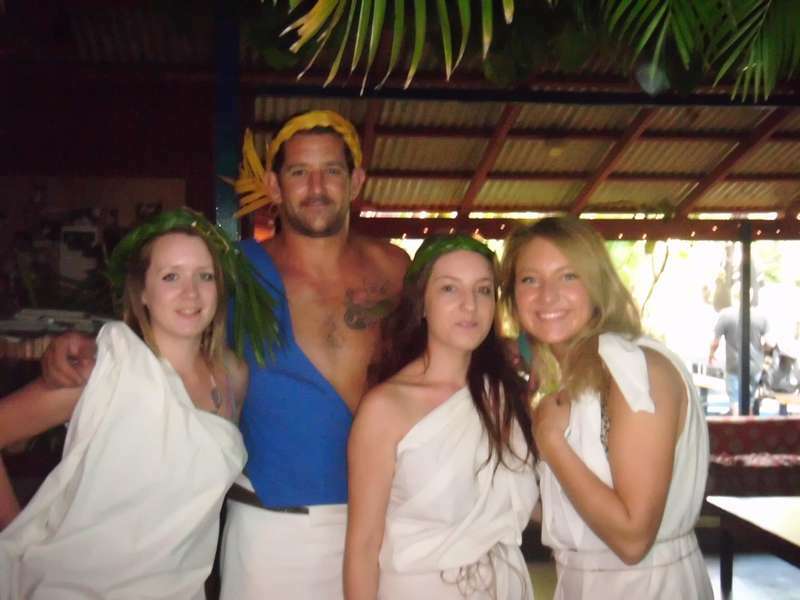 We want you to enjoy a great relaxed, casual and friendly atmosphere so, while you are here, Cable Beach Backpackers is your home away from home! Accommodation is basic dormitory style with both female only and mixed dorm rooms available with shared communal bathrooms. Some doubles and singles are available on request. Rooms are basic and very clean. All rooms open onto undercover open verandah breezeways, either looking onto open garden courtyard & tropical pool or onto our palm garden boundaries. Facilities include a cheap on-site bar with regular themed party nights and bar games to win prizes, pool table with comps, table tennis table, large screen TV, huge open outdoor communal dining area and courtyard with free use of bbq’s, great pool with sun chairs, massive kitchen with commercial sized fridges and gas cook tops, laundry with washers & dryer and lots of lines, great communal bathrooms with lots of showers and toilets, free and fast 24hr Wi-Fi, free sausage sizzle nights, free rice nights, free hotdog night. Free on-site parking. Cable Beach Backpackers representing excellent value for money for the budget traveller wanting a genuine backpacker experience! If driving: On your approach to Broome, take a right from Broome Hway, to Gubinge Road, take third exit at round-a-bout into Fairway. Fairway turns into Sanctuary Rd at the bend, go through round-a-bout, we are on your left-hand-side # 12. Until 48 hours prior to arrival we accept your cancellation without any charge. For later cancellations and we'll charge one night to your credit card. Same day cancellations & 'no-shows' will be charged 50% of total booking cost. Sorry, there are no refunds once you arrive or once your booking has commenced. Pre-paid booking cancellations will be charged an administration fee of 20% outside 48 hours, inside 48 hrs will incur 50% costs. 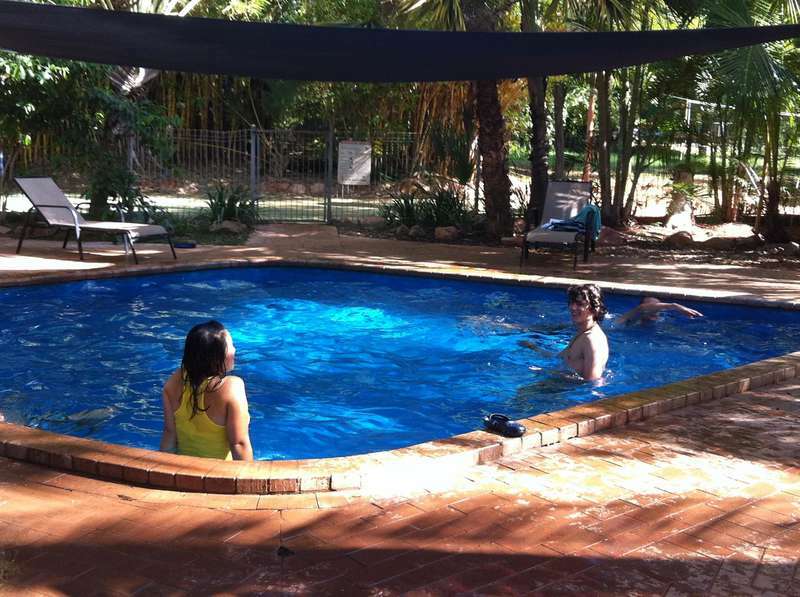 Cable Beach Backpackers is fully licensed, so guys, that means no BYO. It's not all bad, instead...you get to hang-out, mix & mingle, swill & chill in a great, friendly, relaxed atmosphere while you purchase cheap drinks from our very own bar!